Tata Motors is planning to launch its Bolt followed by the Kite twins in the fast developing Indian car market.The Tata Kite compact sedan and its hatchback counterpart have been caught testing on the Indian roads quite a few times. The new upcoming Tata Kite twins are set to replace the very popular Indigo eCS compact sedan and the Indica eV2 compact hatchback models, as these cars are finally recognized as aging by Tata Motors after they ruled the Indian taxi market for long. The Tata Kite compact sedan is expected to be coming with a stylish and sporty design to charm the Indian buyers. The test prototype models of the Kite sedan have been highly camouflaged, but still its new tail lights, revised bumper design and a notchback like roofline have been evident. Though it is still too early to discuss about the overall design of the compact sedan, the production version of the Kite is expected to look fresh and attractive. The cabin of the Kite sedan is also likely to be more premium and feature-rich as compared to the Indigo eCS. Tata Motors is also expected to offer high quality materials and better finish. 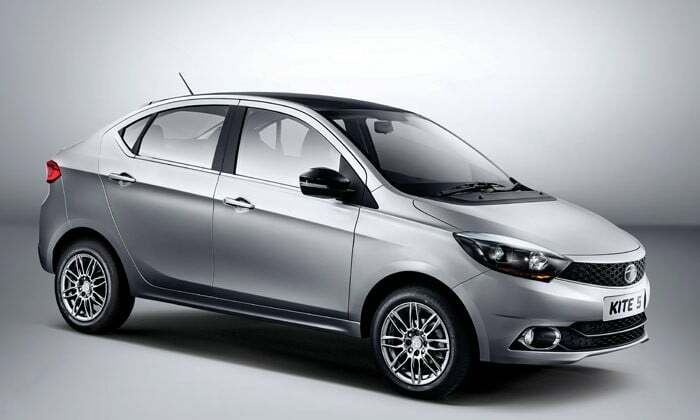 The upcoming Tata Kite CS will be placed below the popular Zest compact sedan. The Tata Kite will be offered with both petrol as well as diesel engines. The car is likely to be powered by the new 3-cylinder Revotron petrol motor that debuted in the Zest, and a diesel motor. Both the motors will be paired to a 5 speed manual gearbox, while the AMT transmission might also be on the cards. The Tata Kite compact sedan is expected to offer the fuel efficiency of 23.0 kmpl in its diesel avatar, while offering around 18 kmpl in its petrol version. The upcoming Tata Kite sedan is likely to be priced at around the range of Rs. 4 to Rs. 6 lakhs.